Life with siblings can be chaotic, busy and fast! I remember so well how wonderfully my two would be playing together when suddenly things would degenerate to a noisy squabble. Then there’s the ‘On’ or ‘Off’ switch. Younger children especially tend to be on the go. At full pelt one moment then withdrawn and shy, preferring their own space the next. 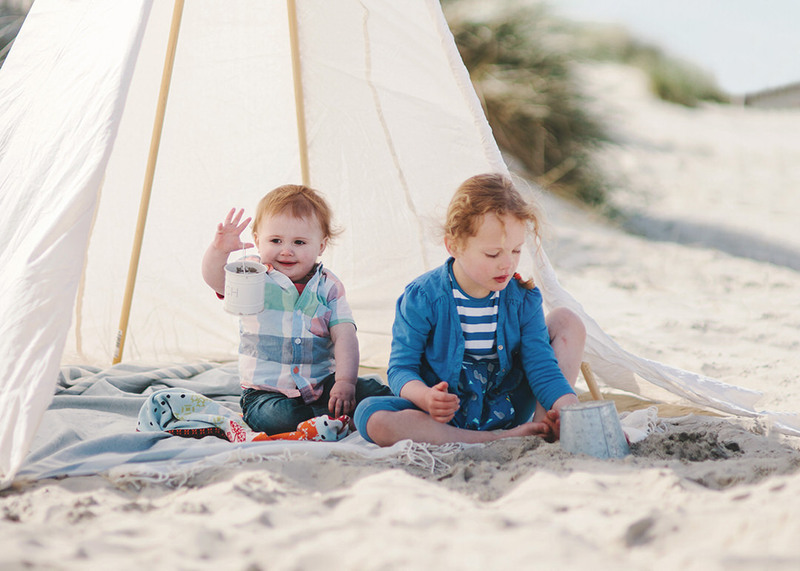 It’s no wonder then, that capturing sibling images can prove to be challenging. 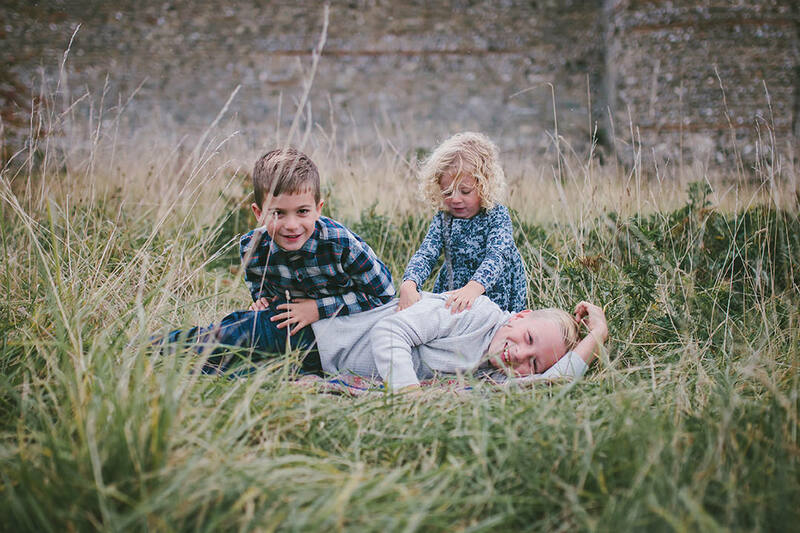 My experience as a mum and a family photographer has taught me that the most effective approach is for me to understand your children’s personalities. With that in mind I’ll adopt whichever strategy sits best with your children. We’ll take it slow and steady, making friends before the camera makes an appearance. As a parent of course, you already know what makes them tick – so why’s it so hard?! 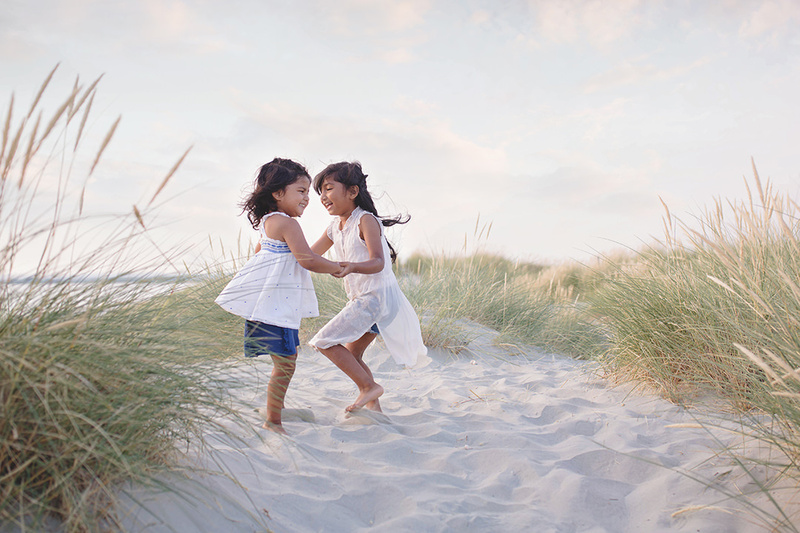 Here I share some tips and tricks on how to successfully photograph siblings in an authentic way. Keeping the energy light and playful will encourage children to play and have fun. These two were so busy spinning they hardly noticed me! If you spot a lovely location, gather the children around that area. Lay a blanket down or sit with them for a while before you grab your camera. Watch them interacting with each other, looking for clues and signs that might lead to a moment. It could be the youngest taking an older sibling’s hand. Or as in this case, the youngest ones ganging up and tickling the eldest. Whatever moment evolves, it will be authentic and, with a bit of luck also feature the backdrop you’ve chosen. Children are more likely to sit together when they have something to do to keep them busy. As well as making them feel less like they’ve been shoved together in front of the camera, it will also give you more time to capture the photograph. Filling buckets with sand or collecting shells on the beach is perfect, collecting leaves in the woods and examining flowers. Perhaps they are sporting a new item of clothing they are excited about? Then get them to describe it to you whilst you click away…. you get the idea. Give your children a purpose and they will be more co-operative. 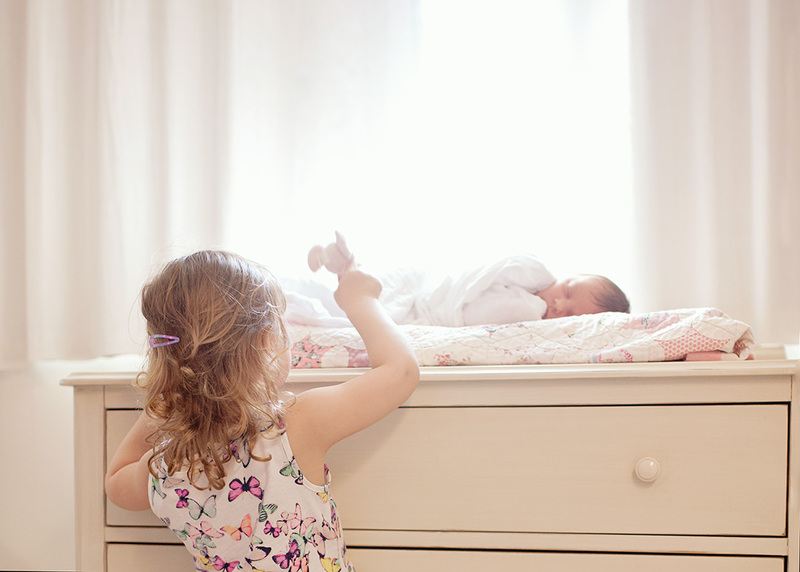 For example, at newborn sessions I often ask big brother or sister to gently count the baby’s fingers or peek on the baby and see if they are asleep. For older children it might be to see how high they can pile some stones. Add some sibling rivalry and see who can stack the most! Or if one of the children is a little shy ask the other to show them what to do, to give them a cuddle or to hold their hand. The technical bit | If you’re using manual mode to photograph my advice is to use a narrow enough aperture to have each sibling in focus. Unless they are on the same plane (basically, equal distance from the camera) keep it around f/4.5 for two children increasing up to f/8 for larger family groups. 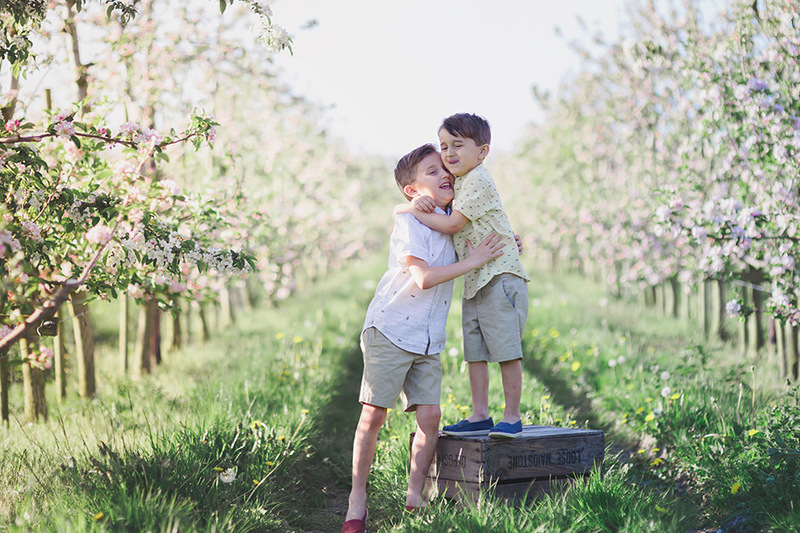 And if the thought of organising your children and having to photograph them is all a bit overwhelming, bookings for 2019 are now open – with weekend slots filling up fast. If you are interested I’d love to hear from you! Leave a comment below and let me know whether you have any go-to strategies which work for you and how you get on using any other ideas above. Moira is a Southsea photographer who works throughout Hampshire and the UK. She specialises in children and families. For more details visit her website or facebook page.